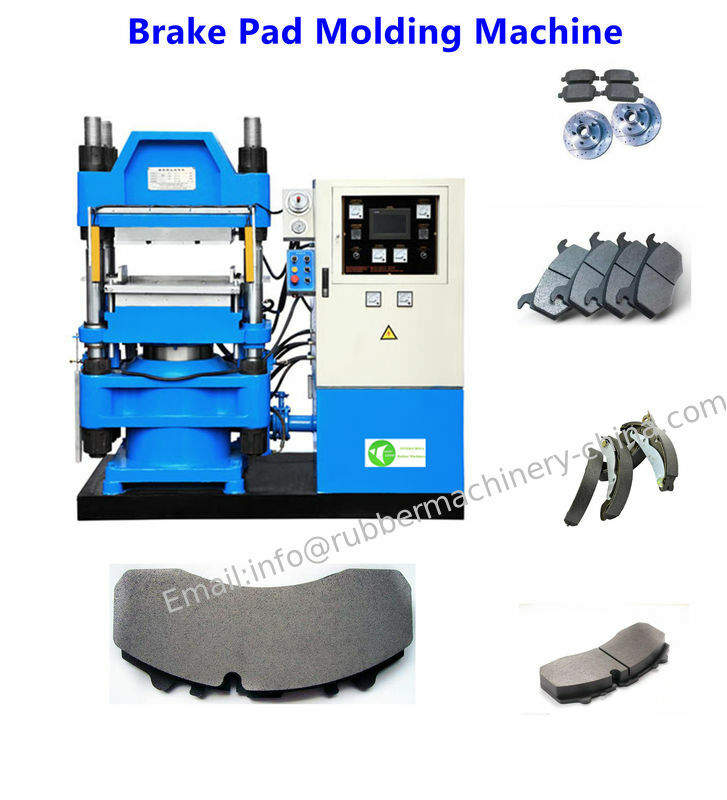 Unique hot-pressing molding machine to make kinds of brake pad for automobile and motrocycle. Also can be used as normal vulcanization molding machine for the regular purposes of rubber/silicone products, seal, O ring, oil seal, rubber cushion, keyboard, medical rubber parts, electrical insulation parts and other kinds of rubber products and bakelite products, handicrafts and forming models. 1. Quick die opening and closing, high production efficiency; Slow lock, protect the mould. 2. Imported seals, reliable sealing, long service life. 3. 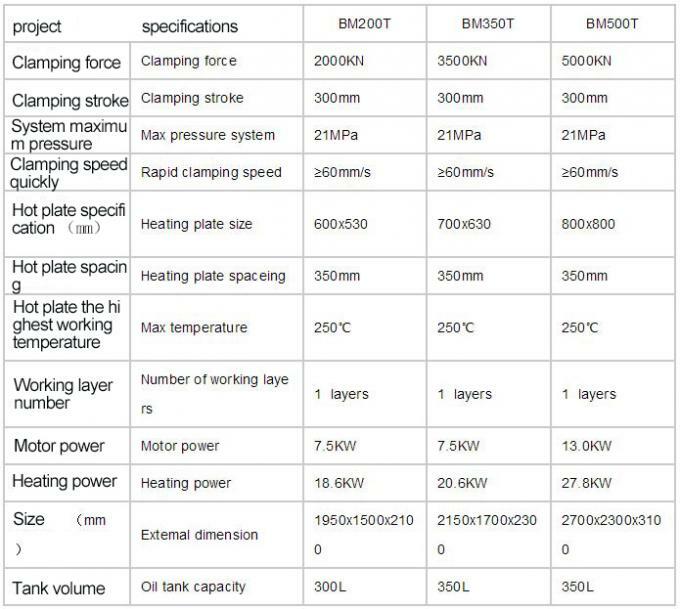 Choose inlet valve, oil circuit configuration of advanced and reasonable, save energy consumption. 4. Using neutron cylinder device, exhaust products to prevent run; Demoulding neutrons rise automatically separation products, convenient and quick. 6. Safety light curtain device, the operation more secure. INTER-CHINA RUBBER MACHINERY CO., LTD.